This is Lindsay Lowe. 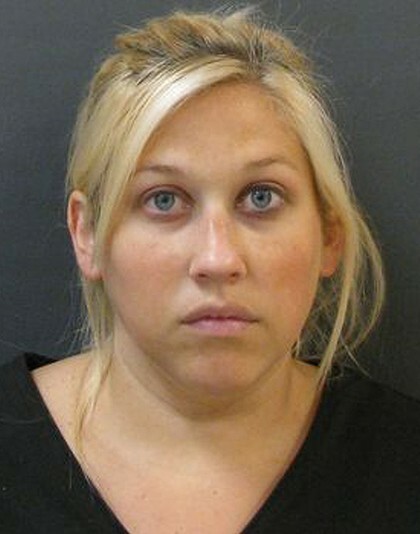 She is charged with giving birth to twins and murdering both immediately. Apparently she hid the pregnancy from family and friends, never saw a doctor, and smothered both newborn boys within moments of their birth. c) have the child or children adopted. Those concepts aren’t too difficult to grasp, are they? Didn’t she see Juno? I can’t help wondering if Catholicism has something to do with this. Because we all know that killing a foetus is so evil and wrong (nb: I’m an Atheist and don’t actually believe that), but the murder of a person after their birth gets less public debate, so maybe it doesn’t seem so bad to some people?! I simply can’t think of any other rationale for the way this woman has behaved. What possible reason can you have for this sort of decision? What was going on in her head? To be sure, it’s easy to panic and not think clearly at first, but you’ve got 40 weeks to figure it out! That’s nearly a year. Trust me, I know. It’s a long time to consider what to do with the babies. I won’t wish unjust or overly severe punishments upon this woman. Clearly she’s already broken, and no doubt her censure will be universal already. But if I could change the past, I’d have called her a month ago and offered to take those babies for her. Every time speed cameras take a starring role in public debate, somebody (usually a great many somebodies) throws in the phrase ‘revenue raising’, often in relation to the placement of speed cameras but also their very existence and use. It is an attitude which never ceases to irritate me. 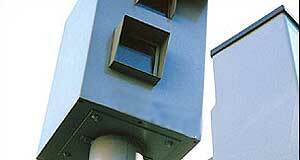 Speed cameras do no more than catch and fine people who are speeding. That is to say, you have to be breaking the law already for them to effect you in any way. It doesn’t matter where they are, everywhere has a speed limit in place which you should be adhering to. Whilst I don’t always feel that speed limits are appropriate, I more strongly object to people deliberately disobeying them and then complaining of the consequences. By all means, pick and choose which laws you obey. But in doing so, you also pick and choose the results and punishments. Making the choice to speed is more than simply driving faster than mandated: it includes the choice to endanger yourself and others, and the choice to be fined or even imprisoned for it. The possible, and even probable, consequences of that act are hardly a secret. In short, do not blame the speed cameras for your own illegal activity. Take responsibility for your actions. Drive slower, and you’ll never have to pay a fine again! 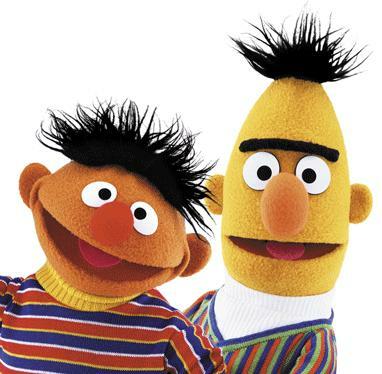 Bert and Ernie to marry? A gay rights group is currently collecting signatures on a petition that requests Sesame Street characters Bert and Ernie tie the knot! From the outset, I want to make it clear that I completely support the right of gay couples to marry and have full equality with heterosexual couples. But marrying Bert and Ernie? I’m not even sure where to start in listing my problems with this. For starters, B & E have never exhibited any overt signs of being gay. Their behaviour and interactions lead some to believe they’re best friends, some believe they’re brothers, and others think they’re just house-mates. It might be different if they had ever been shown sharing a bed, or holding hands, or partaking in any of the usual behaviours of pre-marital couples. But they haven’t. Secondly, if they did get married, it would be for all the wrong reasons. As outlined above, there’s no evidence that they are in love, and so the wedding would be a politically-motivated statement rather than a genuine celebration of a dedicated life-long partnership. That’s not a great example for the kids. Thirdly, why take a long-standing arrangement which is obviously working (for B & E, for the viewers, for the ratings) and change it? Marrying B & E would change their entire vibe, changing Sesame Street itself, not necessarily for the better. It could easily make long-term viewers, who haven’t previously seen B & E as being gay, feel uncomfortable – even those in favour of gay marriage in general. A more effective move, I feel, would be to introduce new characters on the Street who are already a gay couple. It doesn’t need to be a big deal, and can be dealt with subtly and effectively in a similar manner to what Playschool did a while back. Admittedly that stirred up some controversy, but I’m pretty sure that was mostly media-driven to sell more papers. And so I say, leave Bert and Ernie alone! They are innocent victims of an over-zealous socio-political movement which, if successful, may even alienate more people than it wins over. Let them continue to live in harmony (or lack thereof, their conflicts being the basis of most skits) as besties, roomies, or brothers.